We know it's not an original thought, that "if you feed them, they will come." 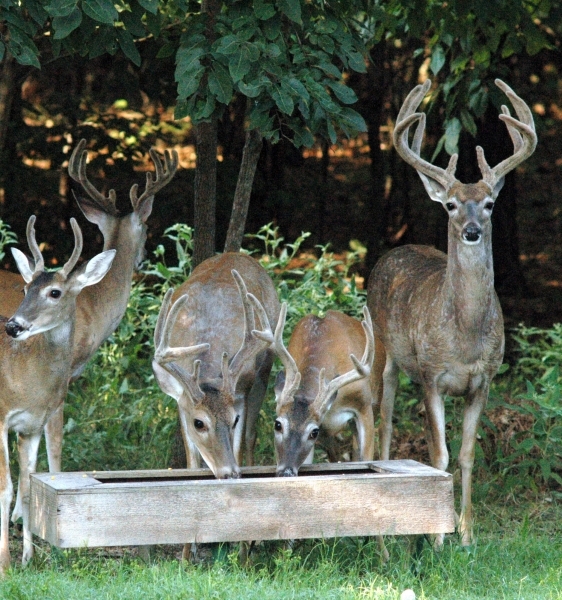 But we've taken that a step further and we found by adding a container of water that more and more deer make our backyard a place to visit several times most days. Every once in a while we'll be surprised. 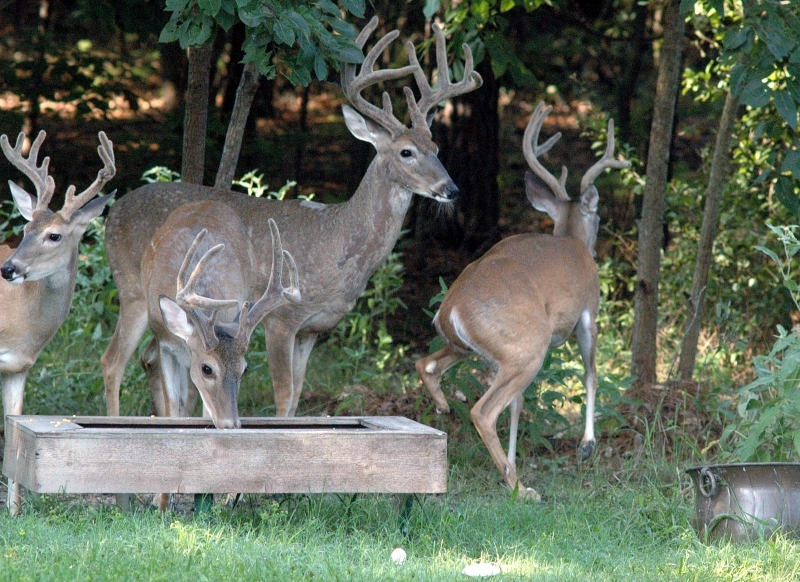 We've had as many as nine bucks in the yard at the same time and we even watched a doe kick a buck which got to close to her fawn. Those who stand out for one reason or another often are assigned names. There was Wooly Bully who stood apart from all the others. He was almost majestic and he ran alone. When others came to feed while he was there, they often stood and waited their turn. Getting too close could mean being physically run off. Among the many surprises we had was "Crippled Sister." She was given that name by neighbors. Sister had been seriously injured somehow and continued to care for her two fawns throughout the season. She appeared to recover from her injuries and walked with lesser of a limp as the months passed by. However the same can't be said for Willie. He is among our fondest memories. 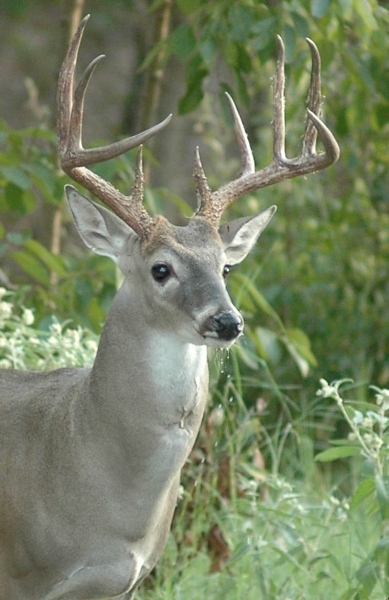 Willie drifted into our hearts in August 2008 when we noticed for the first time that among the many deer that visit our backyard, there was a beautiful buck that was limping badly, much of his lower left leg was missing. 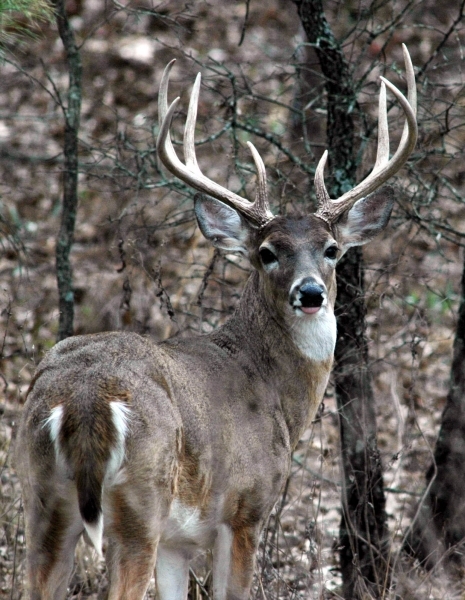 That his antlers weren't perfectly shaped was the least of his concerns. It was an ugly wound, obvious that it had been cut off or broken off. And when he was startled into running, he'd put that raw stump down on the ground, recoiling instantly in obvious pain. While our feeder offered him easily available sustenance, there was little we could do to help him. How did he lose approximately 12 inches of his leg? We'll never know though an area farmer provided one possibility when he said that can happen when high powered mowers are cutting grass and the deer are bedded down out of sight. One day in early September Willie visited the feeder for the last time. 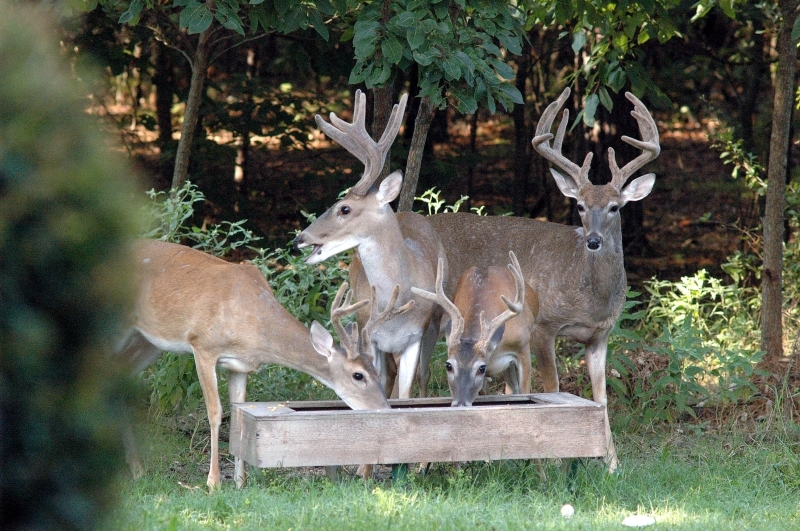 As is our custom, we actually talk to the deer in low tones as we approach the feeder to refill it. 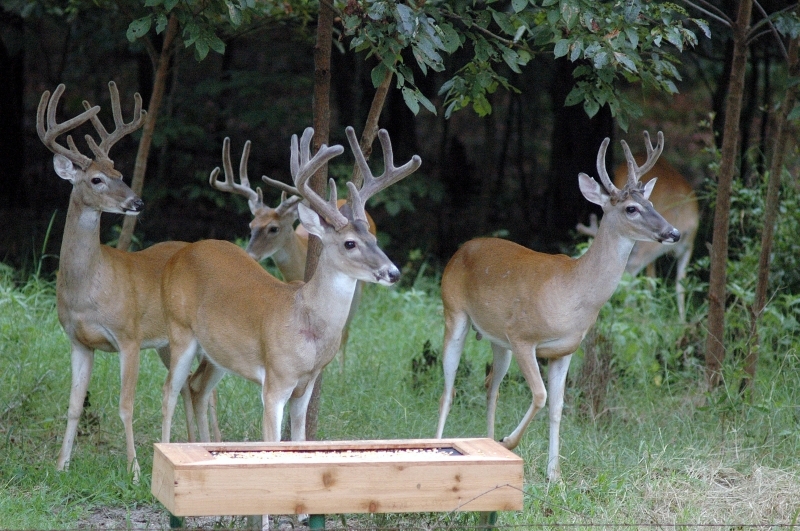 Much of the time the deer simply move 10 to 15 feet away and then stand patiently, waiting for us to throw scoops of corn on the feeder. The last time we saw Willie, he and the others moved slowly back into the woods as we took pictures and then refilled the feeder. Unlike the other days, Willie simply drifted into the heavily wooded area and never returned. We don't know what ultimately happened to him and we never will, but while his visits lasted, Willie was a reminder that life and nature can be beautiful and very harsh, all at the same time.